Like any other part of your marketing strategy, social media channels and campaigns need oversight and management. Without some control you are unlikely to reach your goals, leading to accusations of wasted investment and missed opportunities. Social media is about being social — and relationships with your followers and customer are vital to a successful social media strategy. Social media management tries to template and streamline this process, delivering the right information to the right people at the right time. You also need to stay on top of what people are saying about your brand elsewhere on the web, reaching out to resolve issues or answer questions. Because the strongest relationships will often grow out of your own proactivity. Your social accounts need a constant stream of high quality content with which to engage new followers, and satisfy your existing customers. Your social output will need to align with your other marketing activities to create a coherent approach across all of your channels. In most cases, your social media marketing efforts will be part of a wider content marketing campaign. So your output will include other assets like whitepapers, videos and blog posts that need to be linked from your status updates. Typically the process is planned well in advance with the assistance of a social media management calendar. This tool allows you to define who is doing what, and when it will be published on your social channels. You can read more about creating and using a social media calendar here. Corporate social media is increasingly complex, with the average organization active in 5 to 9 social channels. This means creating and sharing content across each channel, as well as managing contact with followers. Most importantly, it means listening to what is being said — directly and indirectly — about your company and its products and services. Listen and respond to conversations online. Schedule and publish content to your followers. Analyze performance in real time. Conduct paid ad campaigns on each of your social channels. As your business units become even more closely integrated, your social media campaigns will involve people from across your organization. So social media management software must be capable of assigning tasks, centralizing input from your whole team and publishing to multiple channels. Identify the strengths and weaknesses of current efforts. Adjust output mid-campaign to maximize returns. Accurately calculate total ROI on your multi-channel social campaigns. These insights allow you to improve future campaigns and the service you offer your social customers. 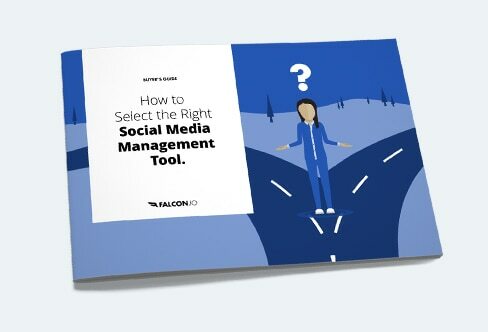 To learn more about the specifics, check out our collection of social media management handbooks. Find out what Carlsberg built by partnering with Falcon.